Does Your All-Inclusive Cabo Trip Include These Cabo Excursions? Your all-inclusive Cabo trip might not cover the best that Cabo has to offer. See what activities you don’t want to miss, and make sure they’re part of your itinerary. 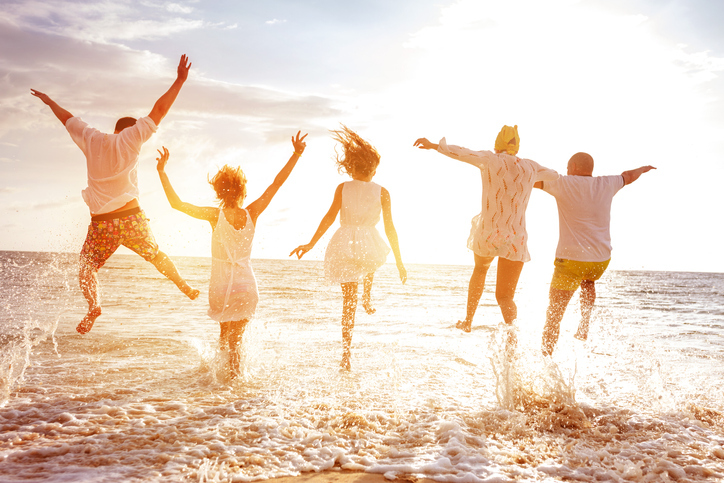 All-inclusive travel packages offer a lot of advantages and can make planning a trip so much simpler! Just make sure the package you want to book includes the right excursions so you don’t miss out on the best places and experiences. Alternatively, you can schedule an adventure tour that also includes food and supplies in addition to your all-inclusive resort package. Before looking at Los Cabos vacation packages for all-inclusive travel options, take some time to find out what excursions are out there, and which spots you most want to visit. There are a variety of Los Cabos excursions both on land and in the water to consider for your upcoming trip. Have you dreamed of swimming with dolphins or scuba diving off the coast of Mexico? What about hiking through the jungle and zip lining across a canyon? You can do all this and more with the expertly planned tours offered by Cabo Adventures. Check out some of the exciting Los Cabos excursions you can choose from. 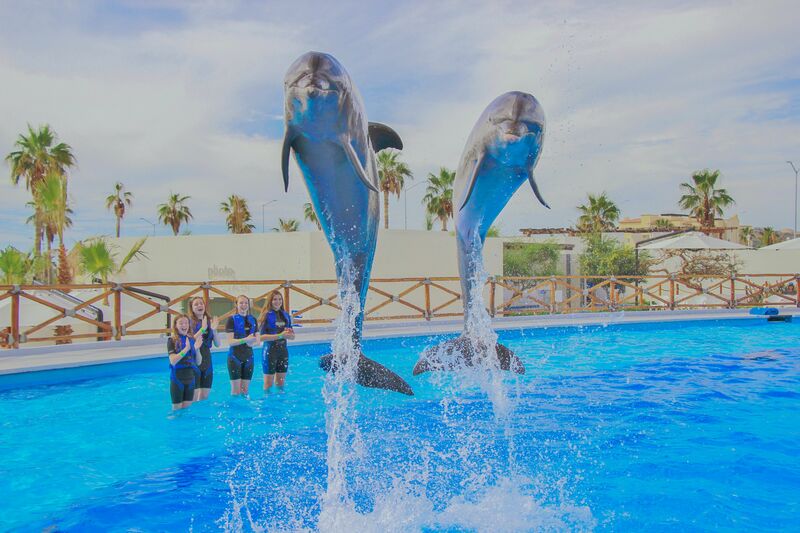 Cabo Dolphins, our impressive dolphin center, devoted to the research and rehabilitation of the area’s beloved dolphins and other local marine mammals. All of our dolphin tours include educational and interactive elements provided by caring and professional experts. Not only will you be able to swim with the dolphins, but you’ll learn about their lifestyle and behavior. You’ll also get more information about the center’s conservation programs, which are partially funded with the proceeds from our tours. Learn how to reserve one of our Dolphin Adventures tours so you don’t miss out on something that your all-inclusive Cabo package might not have. Spend 40 minutes with a small group in the fun and informative dolphin signature swim. Learn all about Pacific Bottlenose dolphins as you interact with them face to face. You’ll even get to go for a dorsal ride, belly ride, or underwater ride. You don’t have to be a strong swimmer to join these playful and highly-trained dolphins for a swim and ride experience. Learn about dolphin anatomy, give your dolphin friend a rub down or kiss, and see how it feels to swim like a dolphin as you speed across the water belly to belly. Bond with a Pacific Bottlenose in shallow water through talk, touch, and play in this exclusive dolphin encounter. A marine mammal specialist will teach you how to communicate using the same hand signals professional trainers use, and you’ll get a glimpse of how intelligent these majestic creatures are. Most of our dolphin encounters are safe for young children, but this dolphin kids tour does not require an adult to get in the water with them. Watch as your child safely and joyfully plays with friendly dolphins while you get great pictures from the observation area. If you’ve ever wanted to learn more about the care of dolphins or about becoming a dolphin trainer for a day, this is the perfect tour for you. Work alongside our Marine Mammal Specialists and get up-close and personal with our amazing dolphins in this hands-on educational experience. You will learn how to properly touch dolphins, communicate with them, teach them tricks, and swim alongside them. You’ll also get a t-shirt to commemorate the experience. See what luxury living is like at sea with a tour on one of our French sailing yachts. Try snorkeling, flyboarding, or whale watching and experience the magic of the Cabo coast. You may also discover a hidden cove, see a whale shark, or enjoy some downtime relaxing on the beach. Learn more about Sea Adventures tours from Cabo Adventures. 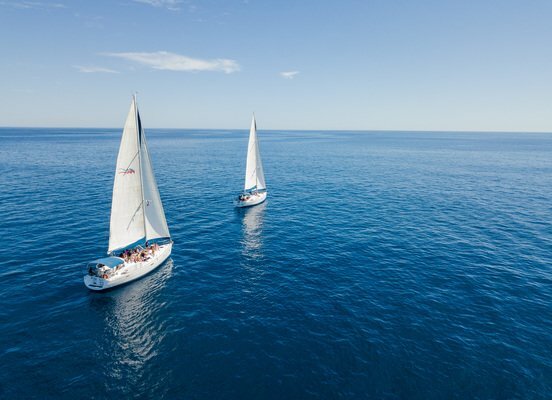 This luxury Cabo tour takes you on a luxury sailing adventure where you’ll see all the popular scenic spots in Los Cabos, including the famous Arch, Lover’s Beach, and a colony of sea lions. You may even spot dolphins, whales, rays, or other sea life while you enjoy onboard dining and an open bar. We’ll also make a stop where you can relax on the beach, snorkel, or go paddleboarding in a picturesque hidden cove. Join our expert tour guides for snorkeling in Cabo San Lucas, where you’ll get to see beautiful underwater landscapes and a stunning array of brightly colored tropical fish and other sea life. You’ll also get a chance to paddleboard and kayak in the bay, as well as visit some of the area’s iconic hotspots at Land’s End. Swim alongside the gentle giants of the sea in this unforgettable Whale Shark Encounter. Like whales, these whale sharks are not aggressive and are little to no threat to humans, but can weigh up to 20,000 lbs. Get a close view of their 30 foot long bodies as you snorkel with these and other exciting sea life. Seeing an enormous shark is always an incredible experience, but nothing compares to getting close to one in the water. For the best whale shark encounter, make sure to visit during mid-September through the end of April. The Sea of Cortez is a legendary destination for snorkeling, and was referred to as the “Aquarium of the World” by Jacques Cousteau. Ride in a luxury catamaran to Espiritu Santo Island where you’ll snorkel in this natural sanctuary full of tropical fish, sea lions, sea stars, and coral. On the Sea of Cortez Wildlife & Snorkeling tour, you may even spot dolphins, manta rays, and whale sharks. Snorkel in Cabo Pulmo National Park, where you’ll find an elaborate living reef estimated to be 20,000 years old. Explore this protected area full of beautiful flora and fauna and a variety of microclimates and geographical features. Feel like a superhero with high-powered jets beneath your feet as you learn to fly and dive in this incredible aquatic flyboard adventure. The waters surrounding Cabo happen to be breeding areas and migratory stops for Humpback Whales, making it the ideal spot for a whale watching safari. See these incredible whales up close and in their natural environment and have your camera ready for the photo opportunity of a lifetime. Make sure to schedule this tour at the best time of year for this whale watching adventure; typically mid-December through mid-April are the best months for this Mexican ocean safari. Don’t forget there is more to Cabo than the exotic marine life and crystal water. We have plenty of adventure opportunities on land as well! Hike, ride, drive, and zip through Cabo’s untouched natural desertic landscape abounding in cacti and other beautiful endemic flora. Learn more about Cabo Adventures Land Tours. Drive a 4-seat Polaris ATV through canyon trails, dusty roads, and rocky terrain in the Baja outback and through the wetlands. Our expert tour guides will help you navigate and teach you to drive safely. After the tour you can enjoy Mexican sopes at our beachside bar. If you love unique and relaxed Los Cabos excursions, you’ll enjoy riding a camel across the Baja desert and along the Pacific Ocean while taking in the stunning landscape. Take a photo with our “kissing camel” and enjoy a multi-course Mexican lunch and tequila tasting. Finish with a tropical hike and a tortilla making lesson from local experts. This high-adventure zip line tour includes tandem and upside down zip lining, as well as our “Pendulum” attraction and the longest and fastest line in Mexico, called the “Superman.” You’ll also get to rappel from rock walls, cross the commando bridge, and drive a Polaris UTV through our specially designed course. Hit the best spots on the Baja Peninsula in this half-day mountain biking tour for both experts and beginners. Enjoy a vast desert landscape broken up by Cordón cacti, Seussian boojum trees, and flowering agave before reaching a virgin beach, home to native brown pelicans. Ride through this adventure on our electric mountain bikes with specialized wide wheels for the sandy and bumpy mountain trails. This relaxed tour allows you to work only as hard as you want to. Our bikes are equipped to handle the difficult driving so you can focus more attention on the beautiful landscape. You definitely don’t want to miss out on a scuba diving tour in Cabo. Cabo is home to over 17 dive sites from beginner to expert, where you can see several natural reefs, sea caves, and a myriad of marine mammals and tropical fish. Cabo Adventures is also a PADI dive shop and provides a full range of scuba certification programs and gear selection. Learn more about Cabo Scuba Diving tours with Cabo Adventures. Cabo Pulmo is one of the premier diving locations in all of Mexico, and is known to divers around the world for its abundant variety of marine wildlife. Your diving adventure includes visits to El Islote, El Bajo, Los Cantiles, and a shipwreck called El Colima, which is now covered in corals and anemones. You’ll also see a sampling of over 200 species of aquatic life, including sea turtles, groupers, manta rays, snappers, porkfish, large schooling fish, and more! This diving tour takes you to the best spots the Sea of Cortez has to offer, including Land’s End, a sea lion colony, the Arch of Cabo San Lucas, and Neptune’s Finger. You’ll also see an underwater canyon thousands of feet deep and the deepest sand falls in the world. Watch for dolphins, sea turtles, tropical fish, and more! Once you’ve browsed the extensive selection of exciting Los Cabos excursions, contact Cabo Adventures to start making reservations for your next vacation. You can also check to see if your all-inclusive package offers the tours you are looking for, or if there is time in the itinerary to add them in. You definitely won’t want to miss an opportunity to try one of our popular and life-changing tours during your stay in Los Cabos.